Practice your numbers in English and Spanish when you count the beautiful dancers, playful musicians, and happy children of Oaxaca as the Guelaguetza parade goes by! Pronounced Gal-a-get-zah, the lively celebration—full of traditional dancing and music—takes place every July deep in the heart of southern Mexico. ONE band leader with a big white balloon! DOS hombres with firecrackers! THREE musicians! FOUR giants! All exquisitely handcrafted by the Mexican folk art masters Guillermina, Josefina, Irene, and Concepción Aguilar, in collaboration with author and scholar Cynthia Weill. ¡Bienvenidos! Welcome to the parade! Cynthia Weill is a professor and mentor to teachers at Columbia University's Teachers College. She also owns a non-profit—Aid to Women Artisans—that promotes the craftwork of artisans from developing countries. 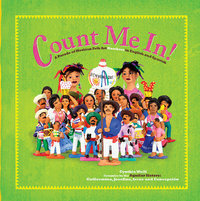 Count Me In is her fourth book in the First Concepts in Mexican Folk Art Series. The Aguilar Sisters are Mexico's most beloved artisans. They learned how to make clay figurines from their mother Doña Isaura. These lively independent women are considered great masters of Mexican folk art and have been visited by Queen Elizabeth, Queen Sofia of Spain, various Mexican presidents, and Nelson Rockefeller. Their humorous ceramics of the people of their town and state are in museum collections the world over. Little kids love colors, they love animals, and they love the sounds of words. Especially new words. Colores de la Vida—the third in the highly successful series First Concepts in Mexican Folk Art—combines all these elements to teach early learners about color. Leggy red giraffes, pink cows, purple rabbits—the Oaxacan folk artists who contributed to this book unleashed their imaginations and went wild with color. Young children will delight in the bright colors of the Oaxacan rainbow while folk art collectors will marvel at the whimsical handcrafts. 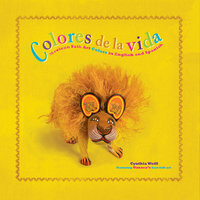 But the simplicity of a book like Colores de la Vida belies the years of research and thoughtful intercultural communication with third-world artists done by Cynthia Weill. As an art historian, she has always been interested in the crafts of developing nations. Weill's intention with Colores de la Vida—and its predecessors in the series, ABeCedarios and Opuestos—has been to find an educational purpose for the work of Oaxacan artisans. She hopes to open up a larger, more international market for their craft. 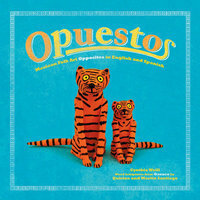 Cynthia Weill’s book of Mexican folk art teaches kids about opposites in Spanish and English! These whimsical little animals from Oaxaca, carved and painted by hand, make learning about opposites fun. Up and down, tall and short, left and right—all inside a beautiful book. Delicate hand-painted animals from Oaxaca lead little ones through a bilingual alphabet. Every ABC book worth its cover price is bound to have bright colors and big letters. But not every ABC book has magical hand-carved animals to illustrate every letter. And very few alphabet books present those letters in more varieties than English! 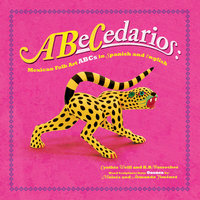 Very few alphabet books except the ABeCedarios, that is! In this brightly colored book, the alphabet is presented in both Spanish and English, and includes the four additional letters—and whimsical animals—that make the Spanish alphabet so much fun. It's a Brown Holiday, Alright, My Birthday. Write a Chicano novel in a month? Crecimiento a golpe de ¡cadáver!